A comedian has shared a picture of his extremely damaged nose, prompting his friends to step in and beg him to stop abusing cocaine. 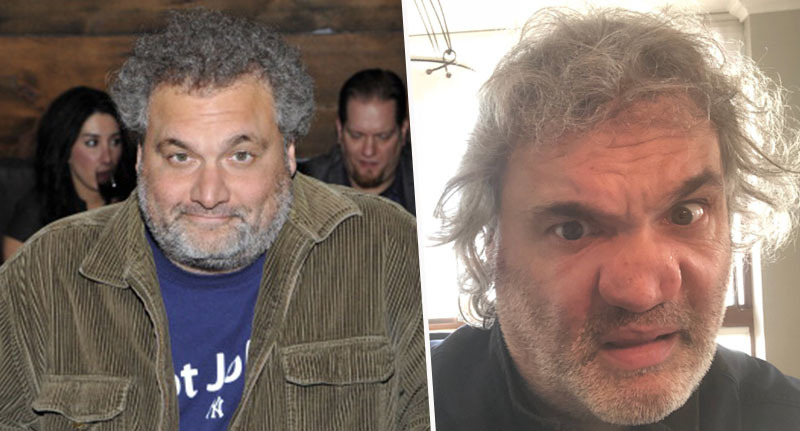 Artie Lange posted a selfie to his Twitter account in December, publicly admitting his nose was ‘hideously deformed’ due to decades of cocaine abuse. The former Howard Stern show co-host appeared unfazed by his appearance, instead deciding to share his troubled past with his 365K followers. As reported by The Fix, Lange has had a well-documented history of substance abuse and has been extremely open with his fans about his addiction. And despite attending rehab towards the end of last year, and celebrating being ’18 days clean’, the 51-year-old admitted that he had done cocaine since leaving rehab. Since then, he’s kept his followers up to date with his progress and whether or not he’s clean; the last time he told fans he was clean was on New Year’s Eve. Taking to Twitter, Lange posted a close-up of his face, in which the true extent of the damage done to his nose could be seen. This is it but I believe her nose had a septum and had not been hideously deformed due to over 3 decades of drug abuse. The tweet, posted on Christmas Day, soon attracted hundreds of responses from concerned fans and fellow comics who were shocked to see the damage Lange had done to his face. Among those concerned for the comedian was Richard Lewis, a stand-up comedian and actor who has worked with Lange in the past. Artie, this is my 1000th request over decades to beg you to surrender to your addictions. When you had time clean we had the most laughs sober. I love you. You’re beloved and a magnificent comedian cursed with self-loathing and fear. Give it up and live. This heartfelt message prompted many others to come forward with similar well-wishes for Lange, all begging him to get clean and start anew. Jackie Martling, another stand-up comedian, spoke about his own addictions and mentioned he will be 18 years clean this year. coming up to 18 years in May. in early 2001 I’d have laughed at the idea of not drinking for 18 *days. * Art, I know you know the laughs are just as hearty on this side. I love you and am of course 100% in your very crowded corner. Comedian Brian Posehn, who has a recurring role on The Big Bang Theory, echoed Lewis’s thoughts, begging Lange to listen to his friends. Seriously @artiequitter, please, please listen to Richard. As a fellow comic, I really don’t want to have to tweet about how f*cking funny you were and how sad it is you’re gone any time super soon. We all love you alive, man. As reported by the Daily Mail, the disfigurement to Lange’s nose was a result of 30 plus years of excessive cocaine abuse, made worse when he accidentally snorted broken glass along with opioid oxycontin. Last month, the comedian narrowly avoided jail after he tested positive for cocaine in court, for a probation hearing for possession of heroin. Our thoughts are with Artie as he battles his addiction.